Wrongful Dismissal Lawyer – Ken Alexander has over 25 years of experience representing both employees and employers. He has appeared at all levels of Ontario Court. I have practiced labour and employment law in Toronto as a wrongful dismissal lawyer since 1993. I am intimately aware of the legal challenges employees and employers face. I know that it can be challenging and costly for employers to manage their various legal duties. I also know that work disputes can be devastating for employees. This is especially true in cases involving wrongful dismissal. I am familiar with the feelings of inadequacy and even depression that may result from a dismissal. I am also aware of the the stress and anxiety that come with having to find a new job. Your livelihood and professional reputation may be at stake. 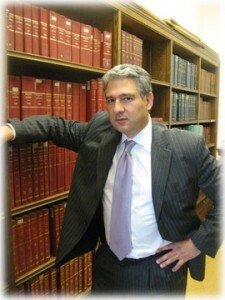 I have dedicated my entire career to helping employers and employees resolve their legal issues. Over the years I have successfully handled hundreds of cases on behalf of my clients involving a wide range of legal issues. I have appeared before all levels of Court in Ontario. I also regularly appear before the Ontario Labour Relations Board, Employment Standards Referees and Ontario Human Rights Tribunal. If you have an employment related problem I’d be happy to provide you with a practical and cost-effective solution. If necessary, we can take your case to trial. Employment law is a complex area to navigate unrepresented. As a wrongful dismissal lawyer who has acted for both employees and employers, I have extensive knowledge of the negotiation and litigation strategies utilized by both sides. Your wrongful dismissal case requires different strategies at every step. A wrongful dismissal lawyer can help you make the right decisions at every step of litigation. You can protect your legal rights and financial interests. I am willing to listen and help. Why do you need a wrongful dismissal lawyer? You need a wrongful dismissal lawyer if your employer has dismissed you. Most importantly, you need to know your rights. Before you decide to sign any releases or to accept any offers from your employer, you need to make sure you have sufficient information about the law and your rights. If you suspect you have been wrongfully dismissed, take a look at this brief list of steps to take and actions to avoid. By consulting with a wrongful dismissal lawyer shortly after you have been dismissed, you are going to be in a better position to assert your rights and avoid mistakes. Even if you have not been formally dismissed from work there are circumstances when a wrongful dismissal lawyer or an employment lawyer can provide guidance as to what you are entitled to do. For example, if you are thinking of resigning and moving on to a competitor you must ensure that you are doing so legally. Your employment contract may explicitly restrict your rights to leave your employer and work for a competitor. Another example of when an employment or a wrongful dismissal lawyer can assist you is with any discrimination or harassment complaints against your employer. Employees in Ontario are entitled to work in a workplace free of discrimination and harassment. As an employment and wrongful dismissal lawyer I have dealt with many cases involving Human Rights Code violations. Furthermore, a breach of the Human Rights Code at the workplace is a serious legal matter. If you are an employer, it is equally important to consult with a wrongful dismissal lawyer ahead of the dismissal of an employee. A wrongfully dismissed employee may cause his or her former employer to incur significant expenses in addition to having to compensate the employee for wrongful dismissal. There are many instances where employers are better served receiving legal advice from a wrongful dismissal lawyer ahead of changes to their staff, instead of defending against a wrongful dismissal action later. Employers must also be aware that employees may be entitled to compensation at common law that is significantly higher than Employment Standards Act minimums. If a former employee sues your company, you should consult a wrongful dismissal lawyer. Ontario Courts recognize the power imbalance between the employer and employee. The employee is the weaker party in most instances. Consequently, this may impact the way certain legal principles are applied in the employment relationship. As a wrongful dismissal lawyer, I can assist you in developing a cost-efficient strategy to manage your workforce.